Cape Town has been named the capital city by the World Wide Fund for Nature's (WWF's) Global Earth Hour, city officials said on Friday. Earth Hour is a world-wide movement organised by the WWF, which involves over 7000 cities and towns around the world calling on their residents to switch off all lights for one hour in a bid to save energy. The announcement was made at a ceremony in Canada on Thursday night, the City of Cape Town said in a statement. "This accolade is a prestigious honour that recognises the city's innovative actions on climate change and its dedication to pursuing the goal of a sustainable urban environment." The city was selected from among 163 entrants in 14 countries, after an expert jury reviewed the actions and commitments reported on by these cities. "It is a proud moment for the residents of Cape Town, and indeed for South Africa," the city said. CEO of WWF South Africa Morne du Plessis said Cape Town had made them proud. "While this competition does not label cities as having achieved sustainability per se, it underscores the actions and commitment that can inspire other cities to work towards the goal of sustainability," said Du Plessis. 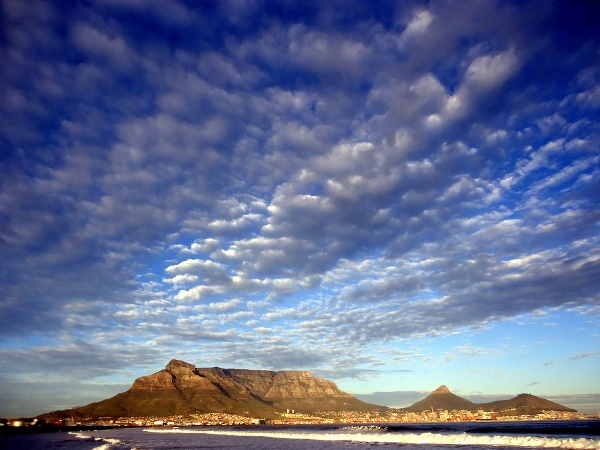 Cape Town mayor Patricia de Lille said: "Thank you to the WWF for encouraging and motivating our city planners and officials to create a resilient city that acts responsibly and respects the environment." Earth Hour would be marked on Saturday. The city called on its residents to join millions of people around the world in switching off their lights from 8.30pm to 9.30pm. The city would be switching off the lights in its own buildings and on Table Mountain. Mayor committee member for economic, environmental and spatial planning councillor Garreth Bloor reinforced the city's commitment to the cause. "With the help of our residents, the business community, and other civic organisations, Cape Town will continue to further reduce emissions from energy use and from transportation and waste, while showing that it is possible to have a thriving, dynamic economy at the same time," said Bloor.